Our clients comfort and pleasure have been always our main aim. To fulfill this target, we have carefully chosen every single detail in Noria Resort. 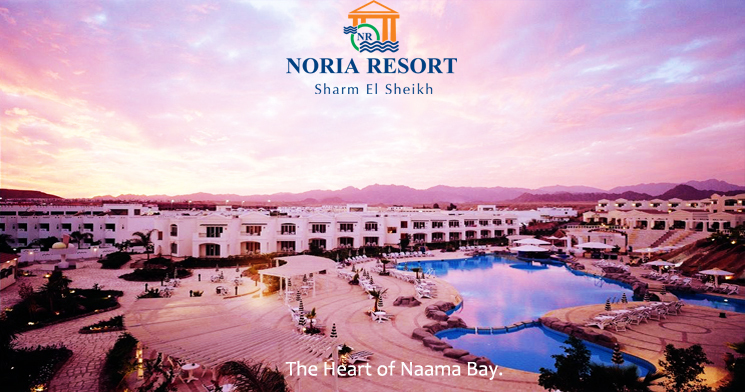 The Resort was inaugurated in July 2000 and is located in the center of Naama Bay in Sharm El Sheikh, only 14 km from Sharm El Sheikh International Airport. The Resort consists of 5 buildings including 168 rooms and 10 suites. Noria is well-known for its extensive recreational facilities, exquisite dinning, and comfortable accommodation. Noria Resort Guarantees a warm welcome & a friendly service.